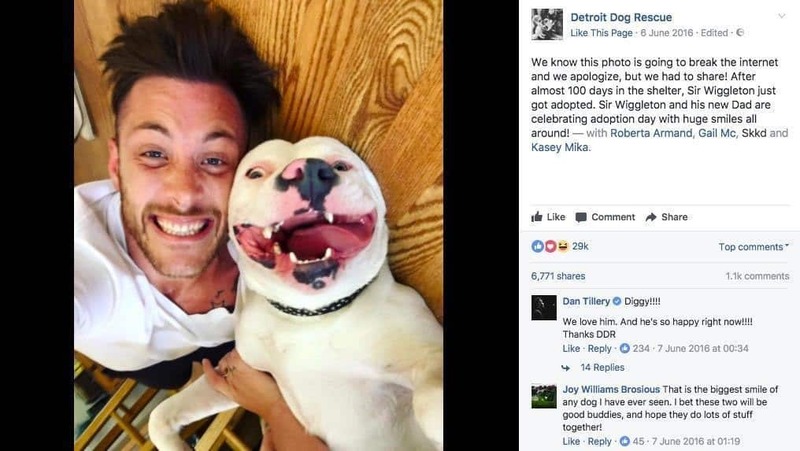 Can you imagine sharing a photo of your dog on Facebook, and have the police knock on your door shortly after? Neither could this dog owner – but that’s exactly what happened after this photo went viral. However, the story runs much deeper than that..
19. Perfectly Happy.. Or Not? 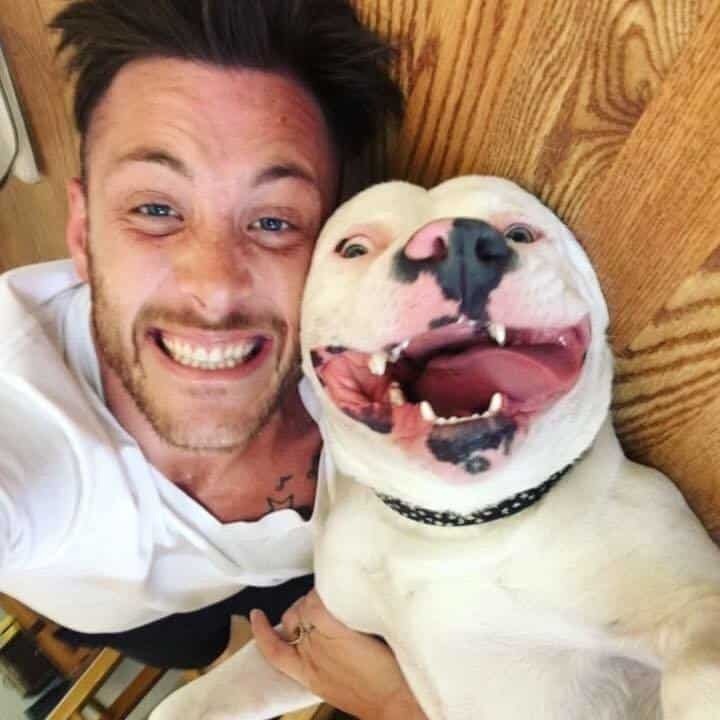 This selfie of Diggy, the happy rescue pup and his new owner went viral on Facebook and other social media platforms. 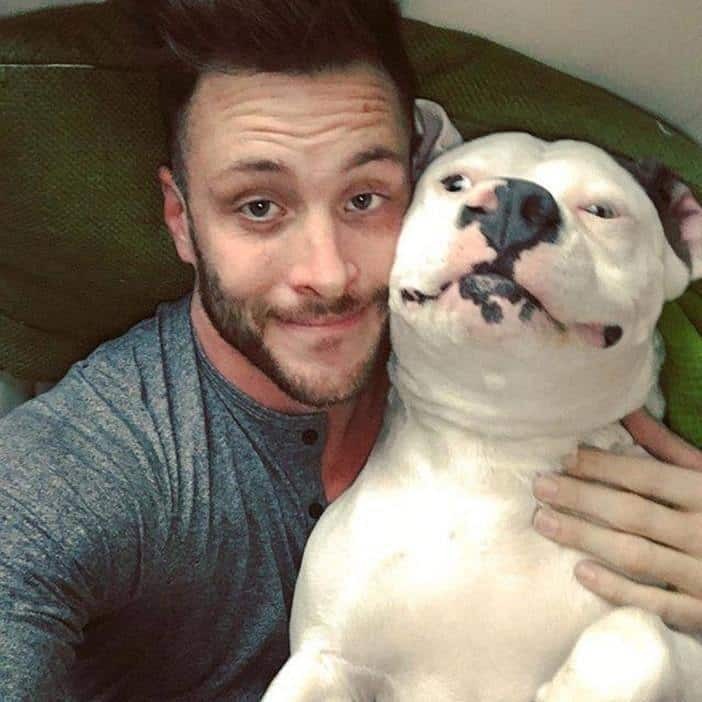 Due to his contagious smile, Diggy became an online sensation, but this led to a harsh discovery about the relationship of Diggy and his owner. In June 2016, Dan Tillery, a hardworking musician and his girlfriend Megan just purchased a new house in Waterford, Michigan. But having a decent house alone is no insurance for happiness. So they decided to get a new fuzzy pet as well. 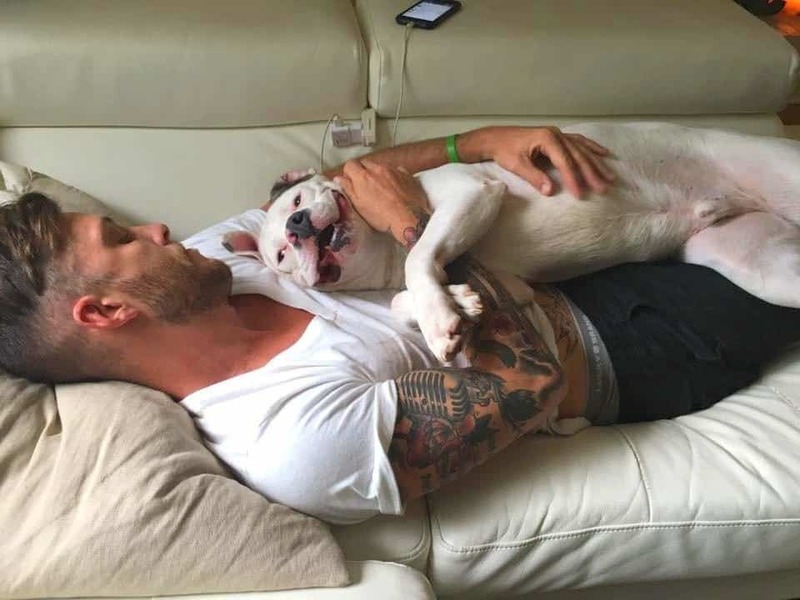 Once they moved in, they soon adopted a rescued dog from a shelter. But nothing could prepare them for the aftermath. 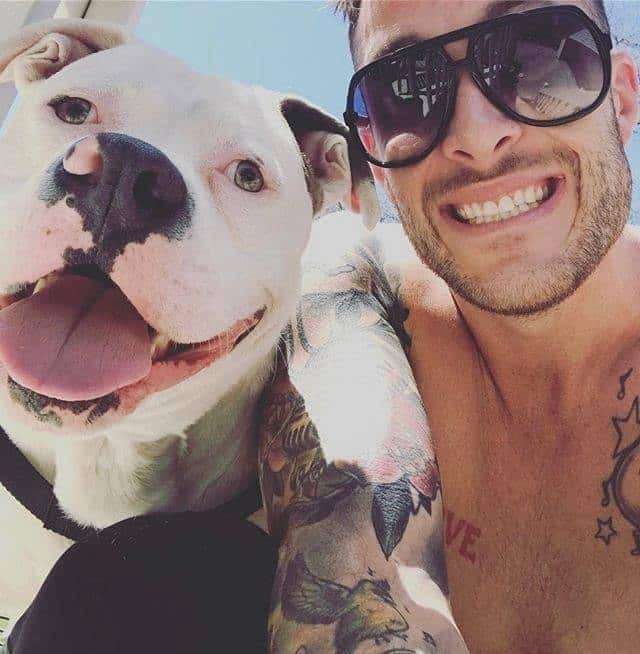 Dan reported to Oakland Press, that he “always wanted to get a dog, but I couldn’t have one in a rented apartment. Buying a house finally made the dream come true.” But it turned out that not all dogs are the same. 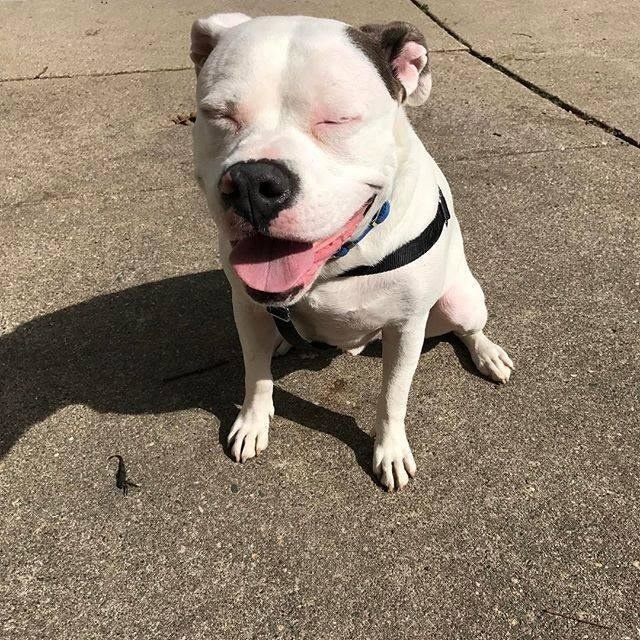 After they settled in, Dan found a cheerful two-year-old American bulldog at Detroit Dog Rescue. 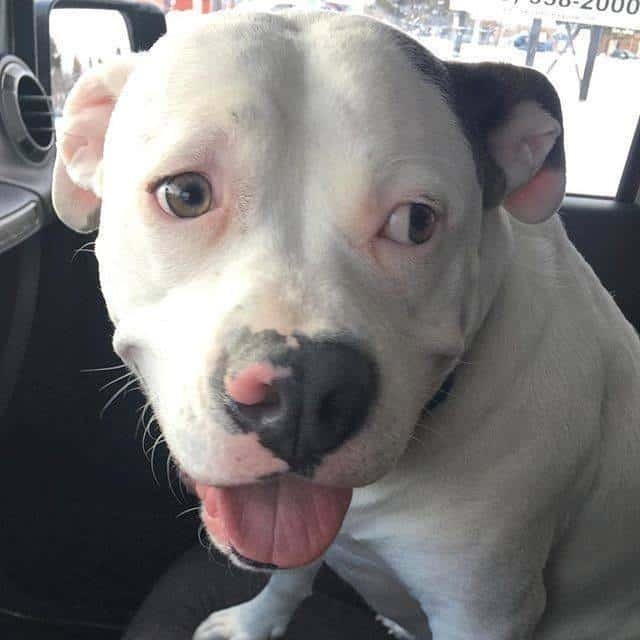 Sir Wellington, as he was called, was found hungry and lost on a desolate street in Detroit, Michigan. 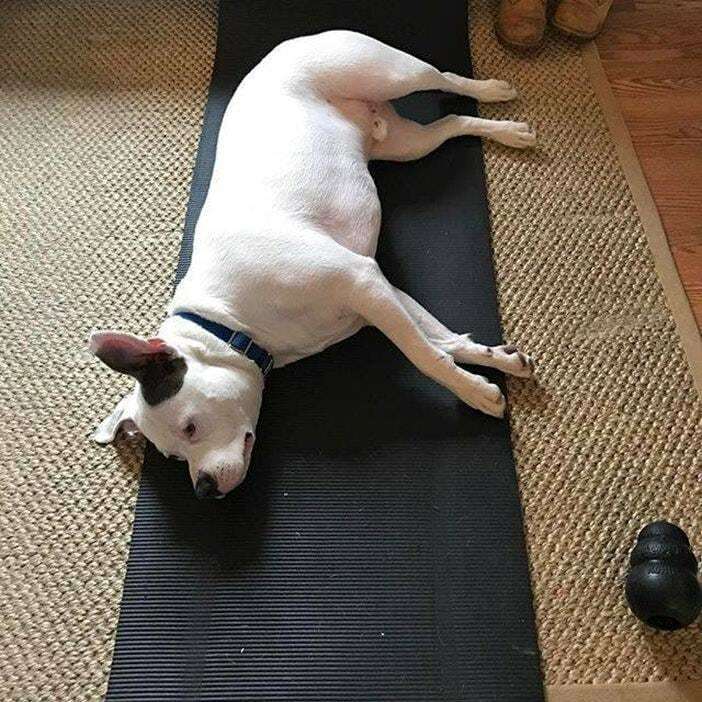 He remained in the shelter for almost half a year – until Dan came along. When Dan saw Sir Wellington – well, it was love at first sight. He decided to adopt him, and name him Diggy. At the time, everything seemed perfectly legal, and no one could suspect that the police would soon get involved. 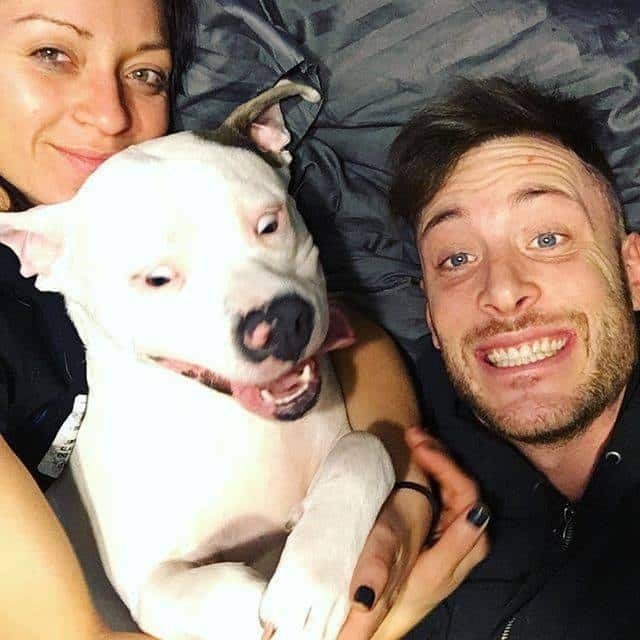 Since Diggy was his first dog ever, Dan simply couldn’t get enough of this happy chap. 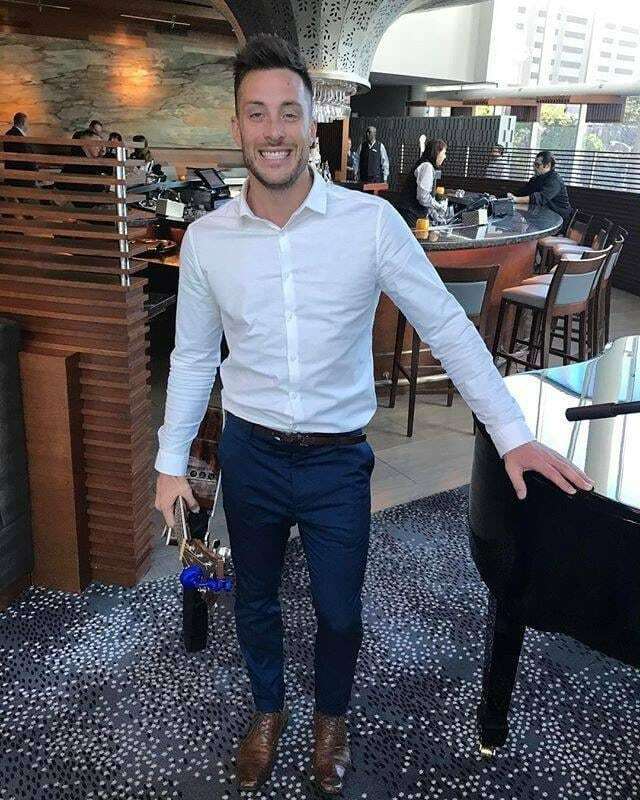 He was constantly taking selfies and posting them on Facebook and his other social media profiles. 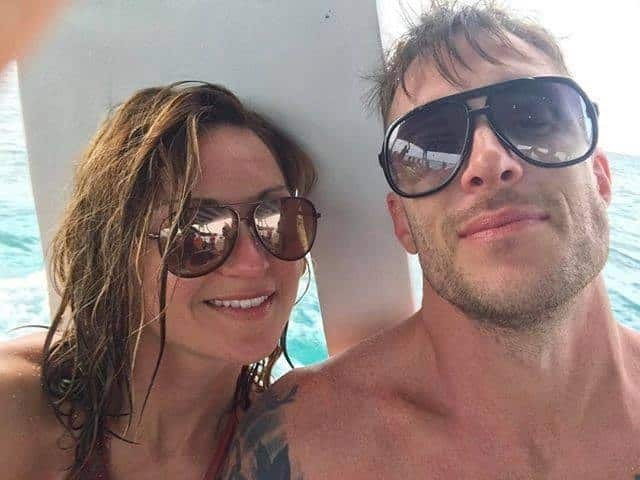 That is, until one of those photos revealed the truth about their relationship. It was a fairly ordinary photo, of the duo smiling like in most of the other ones. 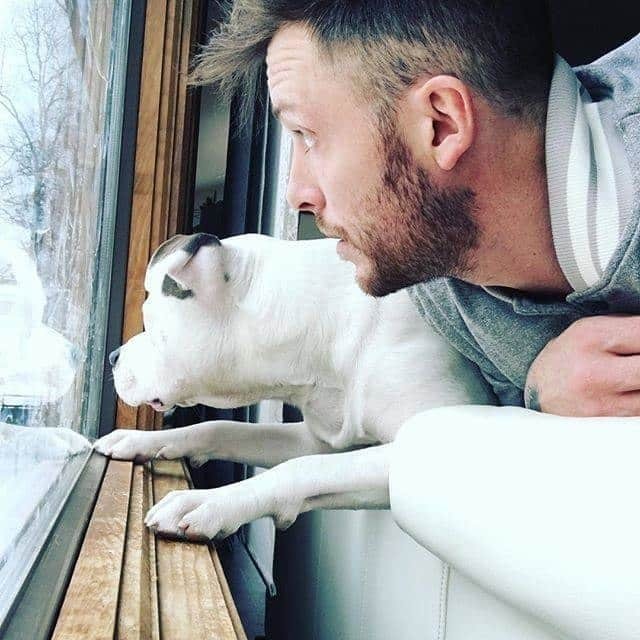 To say thanks to the rescue team that saved Diggy from the street life, Dan decided to share the photo with the Detroit Dog Rescue. Now the real trouble started to happen. The comments were very positive at first, and the photo went viral with over 29 000 likes, as people from across the world shared it on their Facebook profiles. Soon various media outlets wanted to talk to Dan and deliver this heart-warming story with their audiences. But it was time for the haters to come out of the woodworks. Enjoying his new celebrity status, Dan could not believe it would soon be his downfall. Just a few days after that photo was posted, Dan got a very unpleasant visit from the Waterford Police Department, and his world was shattered by their actions. 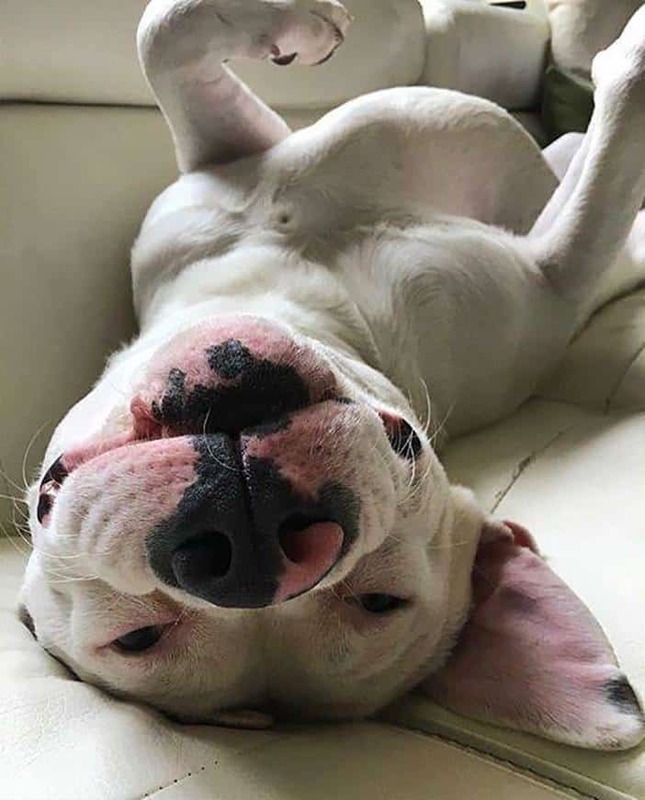 The officers revealed that having pit bulls and pit bull mixes was not allowed in Watford, as they were considered to be “dangerous dogs”. Possessing one could result in a hefty fine and possible jail time as well. So Diggy would have to be returned to the Detroit Dog Rescue. Dan was still convincedd that the officers would not take Diggy away. When they came to his house, Diggy was all over them, licking their faces and wanting to play. The officers said they were very fond of dogs, and they even took some pictures with Diggy, but it was not up to them to decide. But Dan found one incredible legal loophole he could use. 7. Does This Dog Look Dangerous? 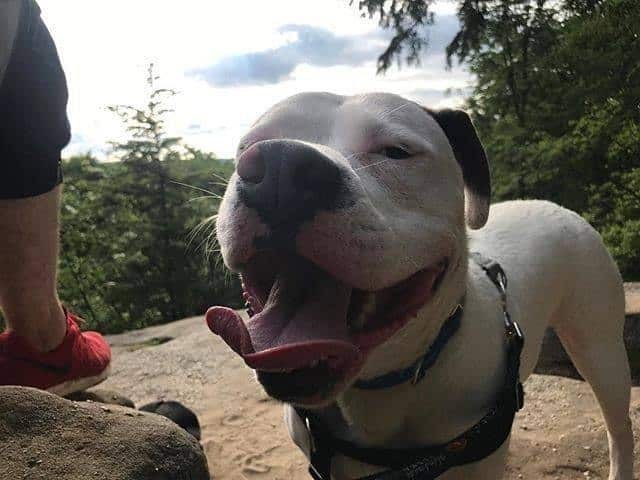 Diggy’s adoption papers stated he was actually an American bulldog, and bulldogs were not on the “dangerous dog” list. 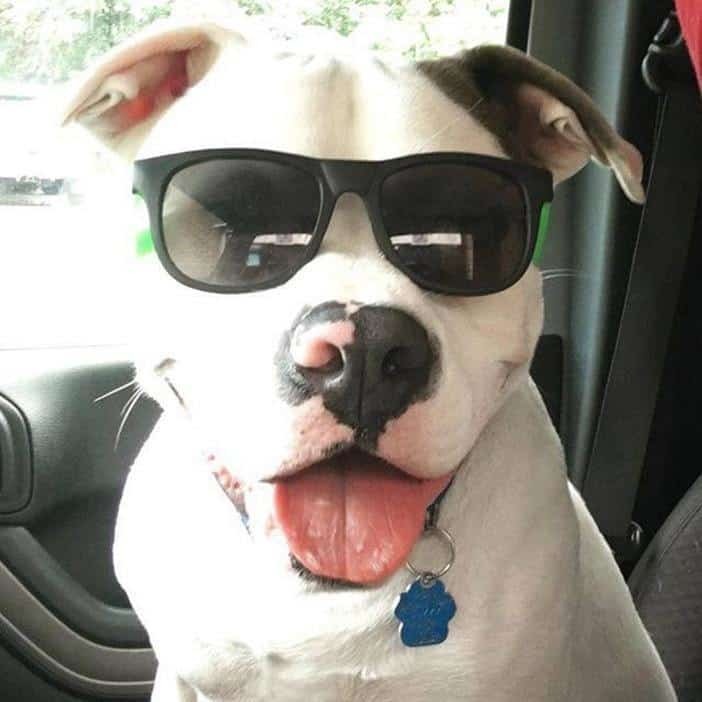 But in an interview with The Detroit News, Lt. Todd Hasselbach of the Waterford Township Police said that Diggy LOOKED like a pit bull. 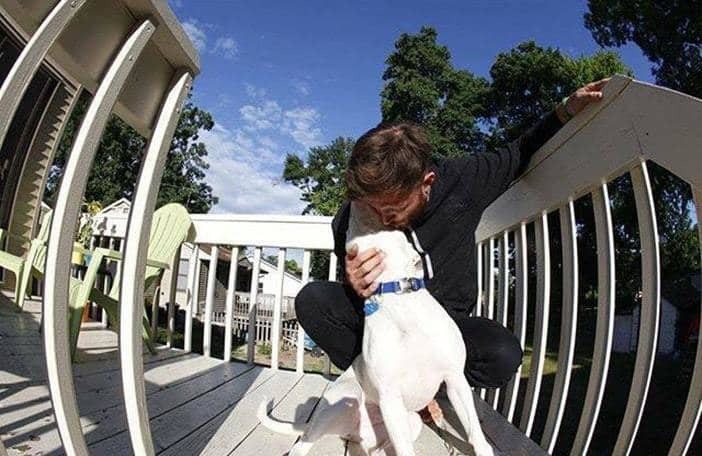 Dan had just three days to say goodbye to his friend and give him away. At that point, animal rights activists got engaged in the case. “From our standpoint, it’s a pretty clear case of an ordinance that makes it clear what’s permissible and what’s not. Our job is to enforce the ordinance,” Chief Scott Underwood of the Waterford Police explained to the press. But the will of the people of Waterford was starting to shift. Dan didn’t have a choice – pay $500 and end up in jail, or give Diggy away. 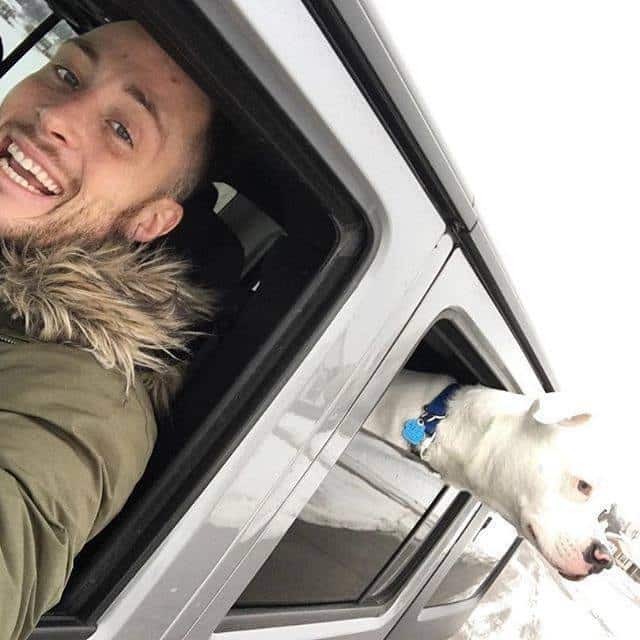 But the viral photo that touched the hearts of many animal lovers was bringing thousands of people on his side. Now it was time for a counter-attack – a full-scale legal battle. 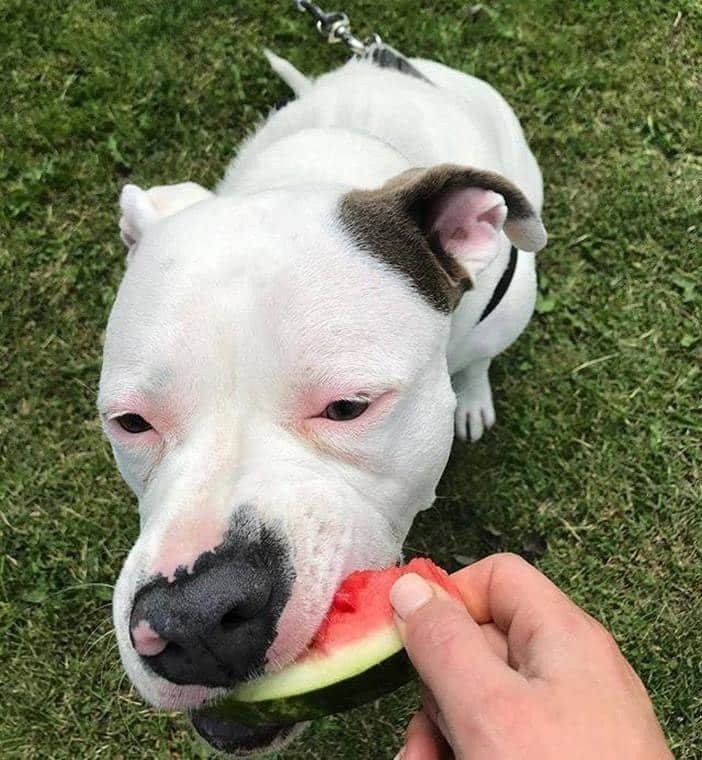 With an online petition to free Diggy gaining over 100 000 supporters, and a formal court hearing on the matter, it was up to the township to decide on the pit bull ban, which would ultimately seal Diggy’s faith. 3. Diggy is NOT a pitbull! For months the situation was unclear. But come September, the power of the people became evident. A large army of staunch Diggy supporters overpowered the town meeting that was about to decide on the end of this heart-rattling story. Finally, it was time for the truth to come out – will the court take into consideration the voice of the people? After a long and heated debate, the GOOD NEWS came out. Charges were dismissed by the 51st District Court and Diggy & Dan could stay together. 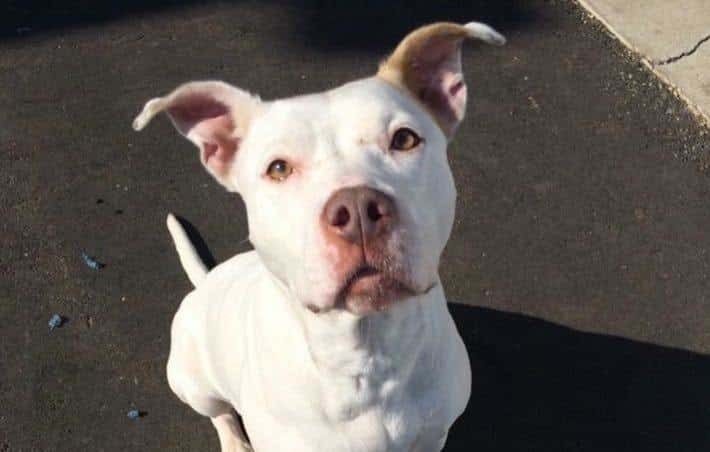 Following this huge victory, the township decided to change the rules on the pit bull ban. From now on, the veterinarians will determine the breed, not the policemen. A victory well deserved! Little Girl Has the Unlikeliest Friendship with THIS Cutie!